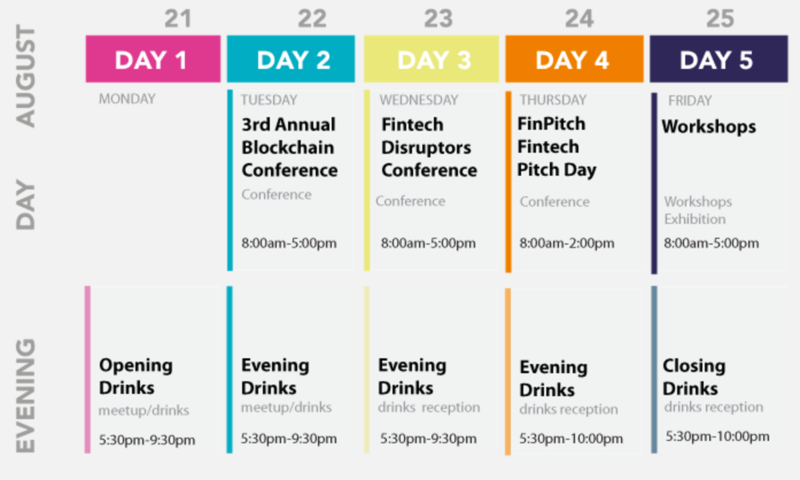 Fintech Week New York is a week-long, content rich event to unite New York's Fintech ecosystem with an national and international audience. The event format is unique in that it creates something for everyone. The week is anchored by a series of niche conferences on Blockchain, Capital Markets, Banking/Insurance, and Money/Payments. The conference is fast paced, with a diverse group of speakers and panelist. Plenty of networking is built into the event and every evening there's either a meetup or drinks reception to keep the dialog going in a casual setting. With our partners, we also run an exhibition, workshops and a hackathon as part of the week.